At the site of where its namesake played his high school basketball, the Wilt Chamberlain Memorial Fund hosted “Reach Back” Day on October 31 for over 100 high school seniors. 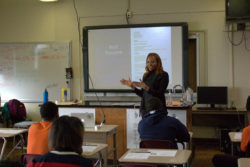 Inside of Overbrook High School’s gymnasium, these seniors had the opportunity to learn more about what college can offer them. 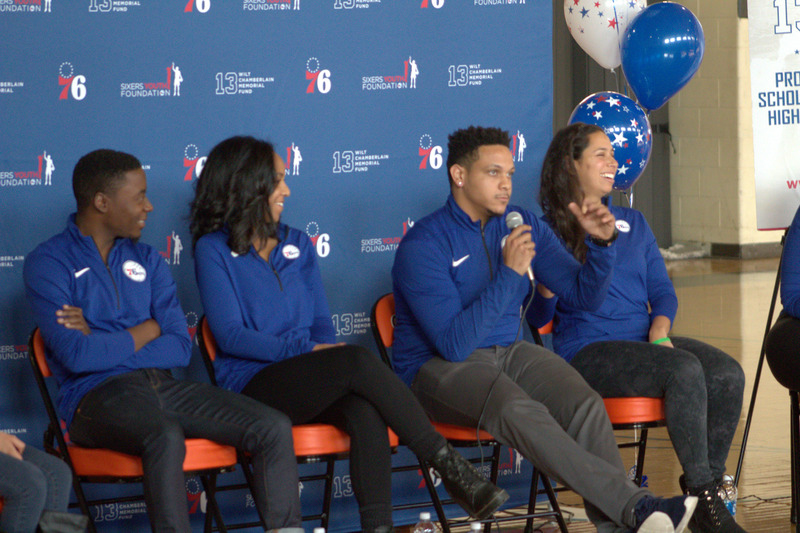 The day’s activities began with a panel discussion that featured members of the 76ers organization, as well as current Wilt Chamberlain Memorial Fund scholar Navya George, all sharing personal insights into their own college experiences. After the panel discussion closed with a question and answer session, the students took part in breakout sessions centered around college admissions, financial aid, professional development, and time management. These were hosted by Uncommon Individual Foundation’s Shakia Kirksey, Pennsylvania Higher Education Assistance Agency’s Ron Felder, VP of Human Resources for the Philadelphia 76ers Tyneeha Rivers, and Philly PD Ballers Founder and President Brian Graves, as well the organization’s Business Manager Christopher Reed. Since 2005, the Wilt Chamberlain Memorial Fund has provided educational opportunities and financial support in the form of college scholarships to local area high school seniors. In total, more than fifty scholarships have been awarded to students from the Philadelphia area, including eight in 2017. This year, applications for the 2018 scholarship will be accepted starting December 1. To learn more about the Wilt Chamberlain Memorial Fund visit wiltfund.org.